 Low physical work capacity.  Must consider glucose intolerance as well. BW in moderately obese clients. 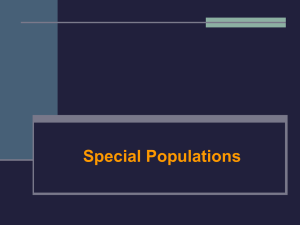 the lean mass of almost any population. (significantly decreases risk of diseases). factors in the maintenance of weight loss. preservation of lean body weight. activity habits toward weight reduction. to determine physical work capacity. exercise should fit the lifestyle.  Debate over exercising once or twice a day. the kcals are coming from fat or CHO stores. Injury prevention is very important; also injury history. Use of low-impact or non-wt-bearing exercise; pool?? had the disease a long time. 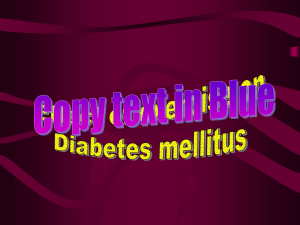  An absolute deficiency of insulin.  Insulin must be supplied by injection or pump.  Usually occurs > age 40. 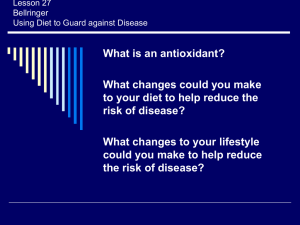  Some develop < age 30 – maturity onsetdiabetes of youth. are needed for safe participation. insulin and oral agents may cause. test blood glucose during exercise.  Be on guard for hypoglycemia.  Insulin adjustments by physician only.  Those with type I must consider food intake with exercise. carbohydrates before OR after exercise. g of carbohydrates for every hour may be needed. hydration, foot care, medical identification. blood pressure or are taking meds for it. both systolic and diastolic blood pressure. visits after an initial screening. hypertension who are not medicated. pressure in stage I & II hypertension. mortality rate than sedentary and less fit people. 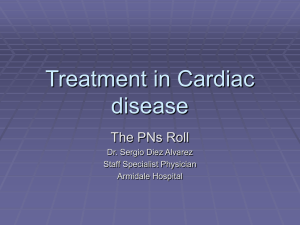 increase systolic and diastolic blood pressure. however. It is OK to do! pressure by the least intrusive means possible. cardiovascular risk factors at the same time. vs. TTZ (target training zone) for monitoring exercise.  Avoid extremes in temperature and humidity.  Peak bone mass is reached at about age 30. 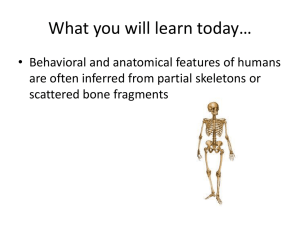 Beyond age 30, bone mass steadily decreases. 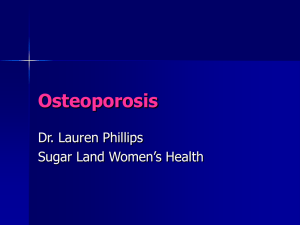  No cure for osteoporosis…only treatment. 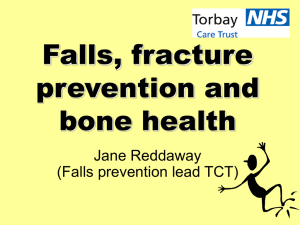 eight men over age 50 will have an osteoporosisrelated fracture in their lifetime. (right) looks like a steel bridge with many girders missing. Answers" and the triple-shield Mayo logo are trademarks of Mayo Foundation for Medical Education and Research. 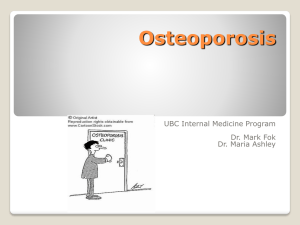 program for a patient with osteoporosis. the level of osteoporosis that is present. Activities that involve carrying your own body weight. response to the additional stress. 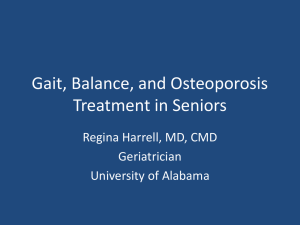 bone density… even in the elderly.  Increases muscular strength  minimize falls. upon principle of Progressive Overload. achieve long-term effects on their bones.  Use straddle stance with knees slightly bent. most effective in preventing further bone loss.  Be aware of clients anxiety about falling.  Keep environment free of hazards.  Wall railing are helpful. increase metabolic cost of exercise by ~ 50%. aspects of fitness and health. 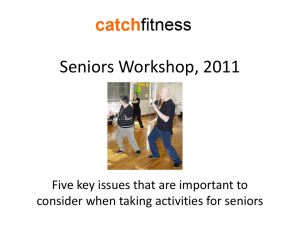 this group is to diminish effects of inactivity. and pain level (15’ twice/day).